I am proud that the song “Circle” from my album Piano Transformed (2017) has been chosen to be part of the compilation album JAZZCD.no 8th Edition. 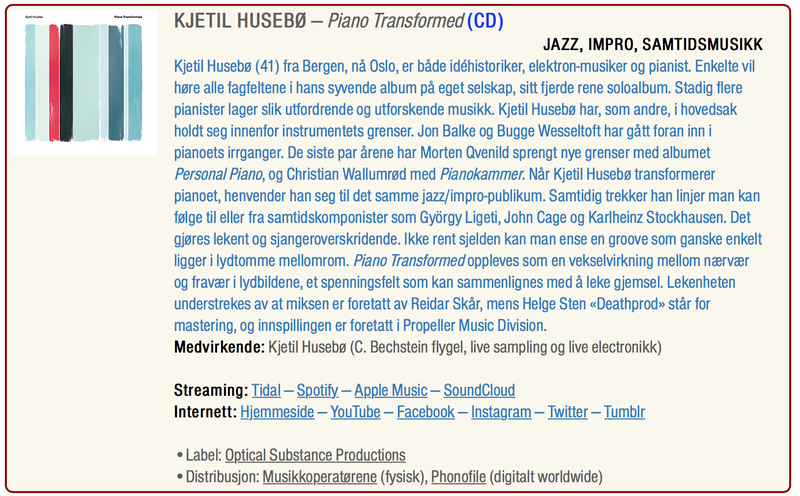 Snippets of the Norwegian jazz scene today, produced by Norsk jazzforum in close cooperation with Utenriksdepartementet (Norge) (The Norwegian Ministry of Foreign Affairs), Music Norway, and distributed by Norsk jazzforum and through Norwegian embassies and consulate generals all over the world. Available from January 2018. 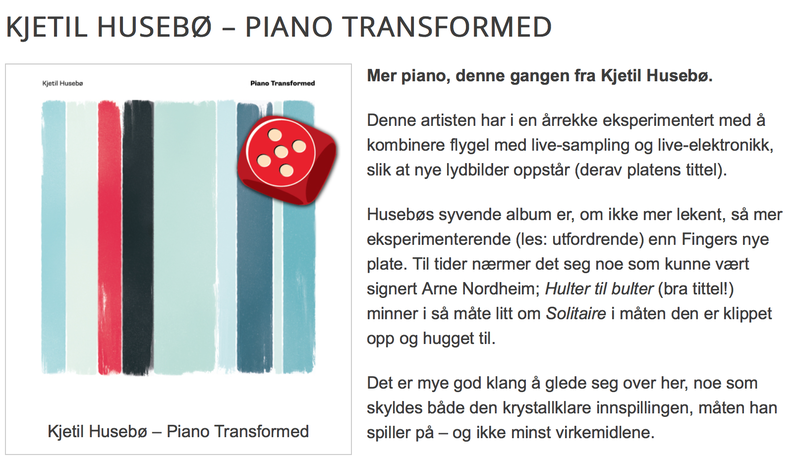 New solo album – Piano Transformed – due for release March 17th 2017 (Norway + digital – worldwide), Spring 2017 (U.K, Germany and U.S). Kjetil Husebø: C. Bechstein Grand Piano. Live sampling & Live electronics. 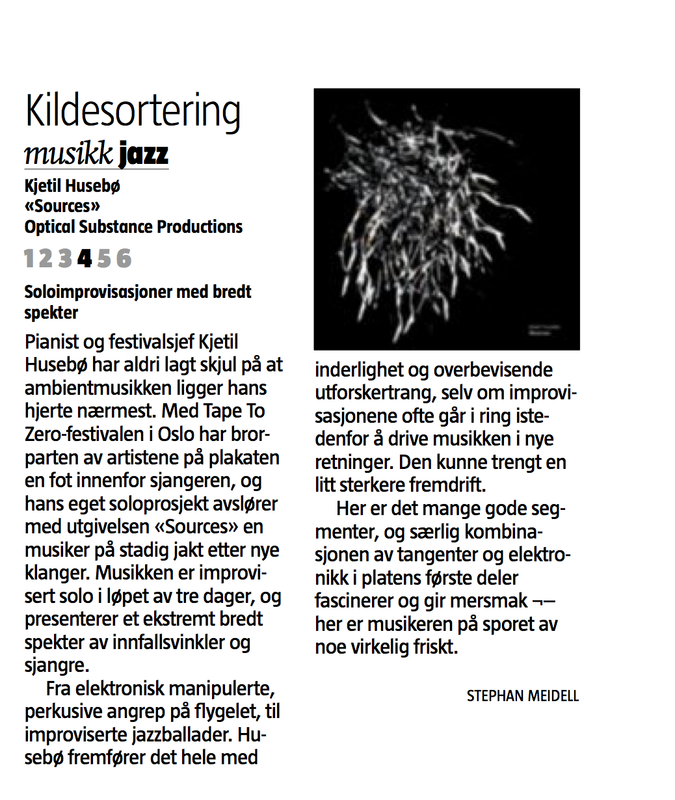 Recorded at Propeller Music Division, Oslo. Engineer: Mike Hartung / Jacob Dobewall. Mixed by: Reidar Skår, 7.Etg, Oslo. 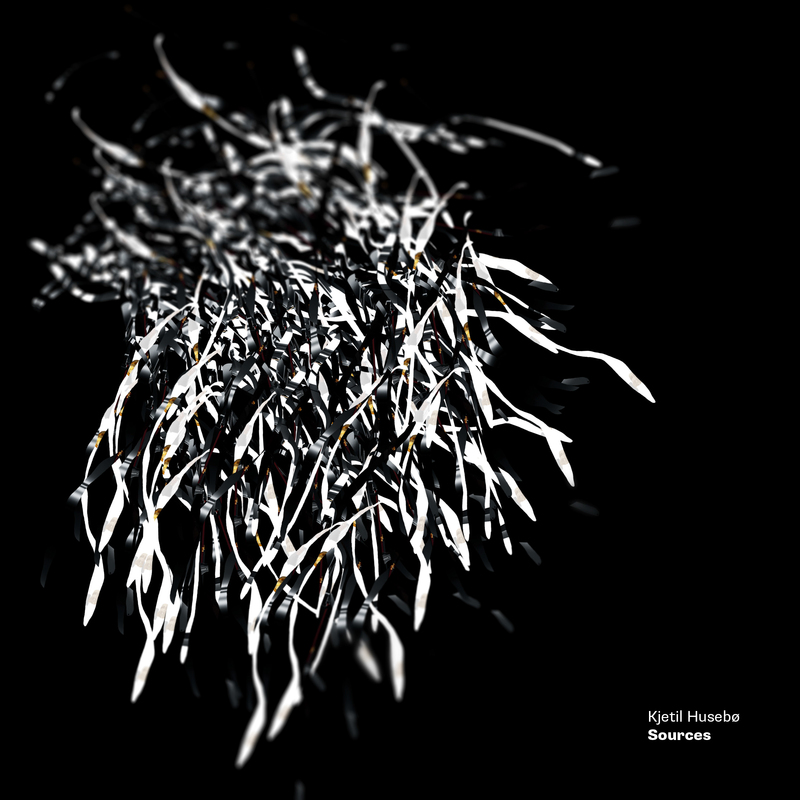 Mastered by: Helge Sten, Audio Virus Lab, Oslo. Photo inside CD digipack: Colin Ventura / Rein Borgen. 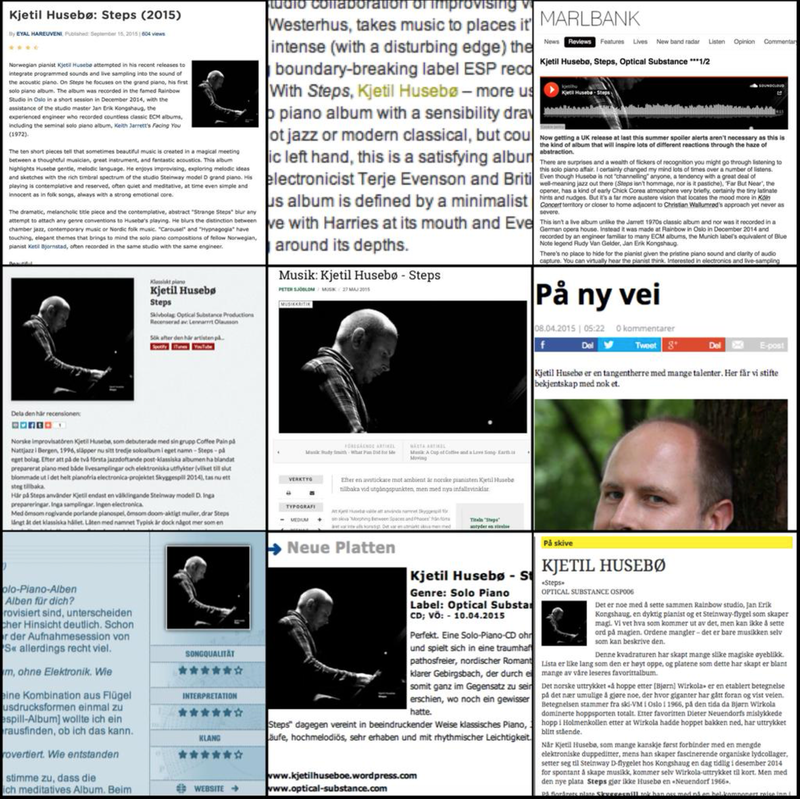 Distribution: Musikkoperatørene (Norway) / Phonofile (digital – worldwide) / Forced Exposure (U.S) / Discovery Records (U.K) / Galileo (Germany). 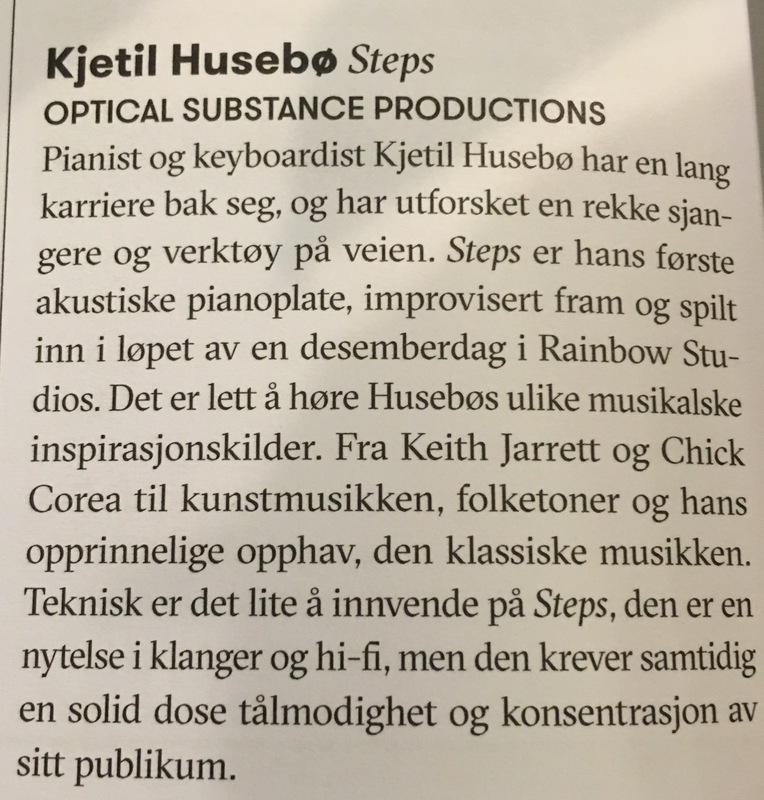 I have recorded a new solo album in RainbowStudio with legendary Jan Erik Kongshaug as sound engineer. 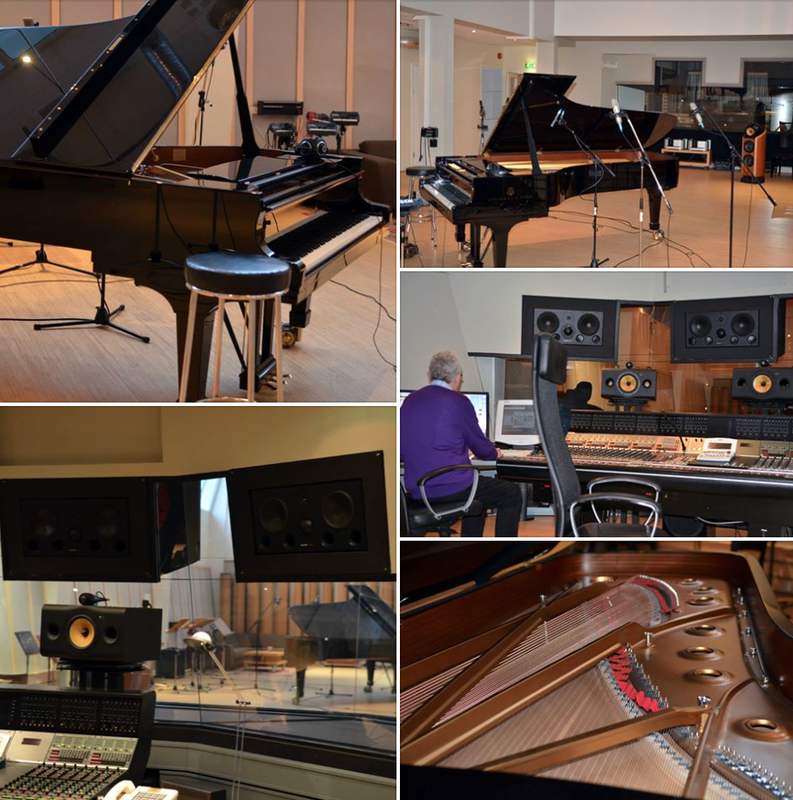 Fantastic studio, sound and Steinway grand piano! New album out winter/spring 2015. New solo album – Sources – due for release on September 13th 2013. 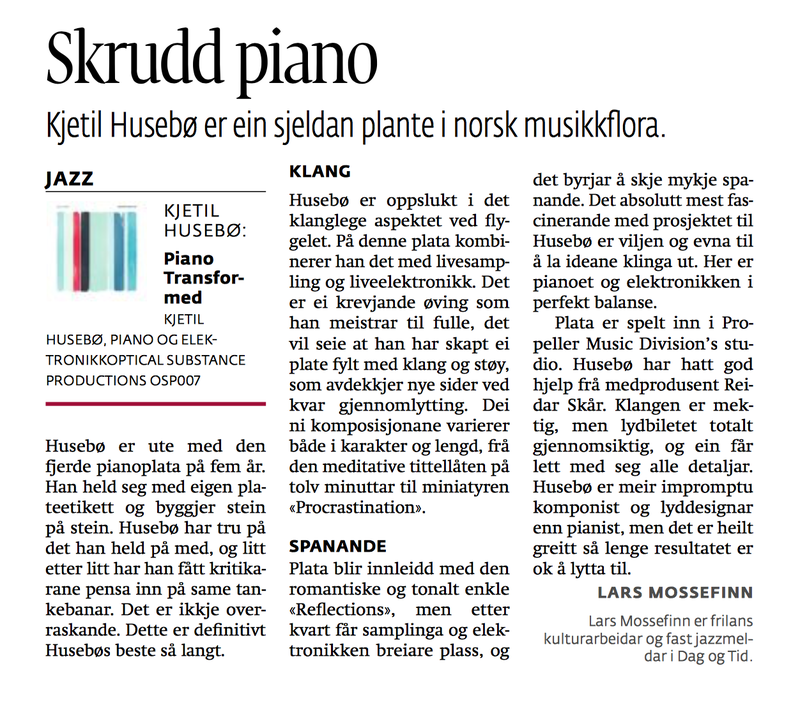 Kjetil Husebø: Steinway model D & live sampling/electronics. Recorded at Audiopol Studio (Ibsenhuset), Skien. Engineer: Audun Kleive. Mixed by: Kjetil Husebø at GrandisStudio, Oslo.